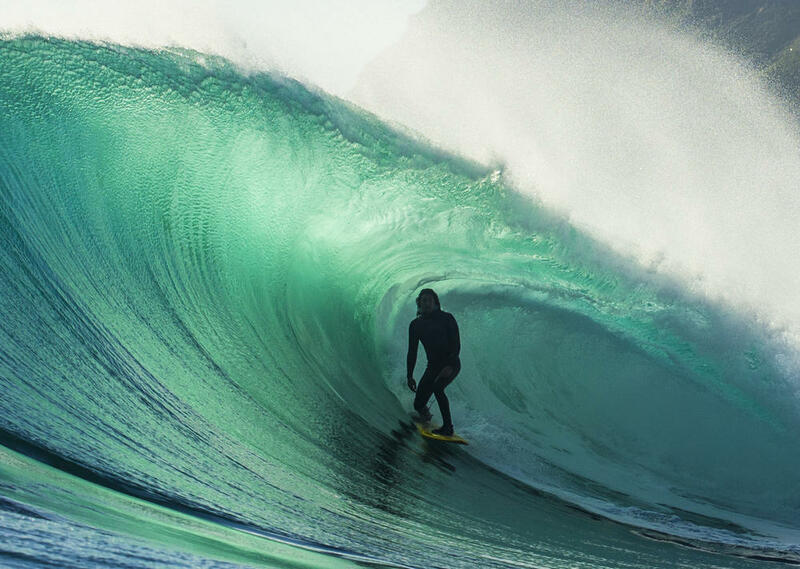 Hilo-born surfer and scientist Cliff Kapono has been at the forefront of the ecoboard movement. 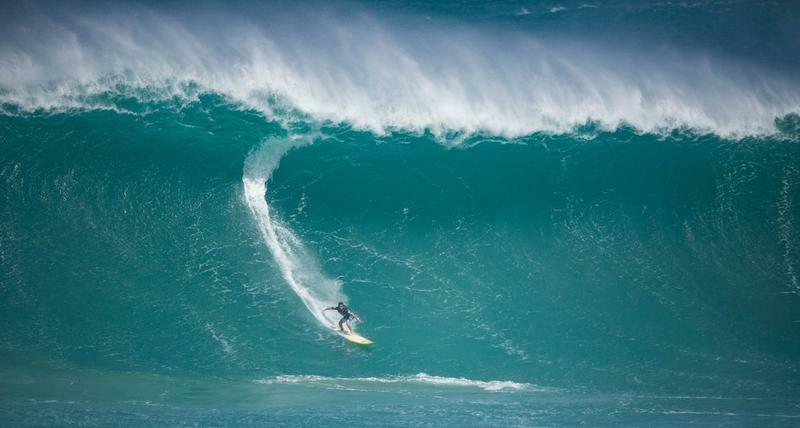 He's teaming up with Sustainable Coastlines Hawaii's Kahi Pacarro and other stakeholders to incentivize professional surfers to test ecoboards themselves this winter on the North Shore. 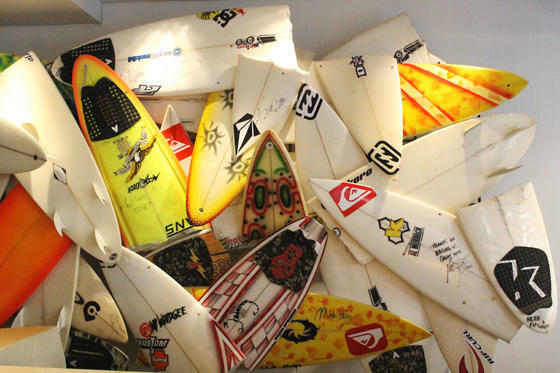 Every year, the surfboard manufacturing industry produces more than 400,000 boards. Surfer and Sustainable Coastlines Hawaii Executive Director Kahi Pacarro says many of them once they break end up in the trash can. “You go to the North Shore during the winter and you see them on the beach, you see them in the trash can, and where do you think they go?” says Pacarro. Fellow surfer and scientist Cliff Kapono asked himself the same question. “I ride these surfboards. It breaks. I throw em underneath the house until gotta clear em then I take them to the dump,” says Kapono. Broken surfboards are often re-purposed into art like this piece on display at The Modern hotel in Honolulu. If they aren't re-purposed, they end up in the landfill. These boards end up clogging the landfills because they’re made of materials that last longer than we humans do. Pacarro and Kapono have been experimenting with boards made from different materials. North Shore shaper Matty Raynor runs his hands over dings in an algae board he's been working with. North Shore shaper Matty Raynor, who makes Kapono’s boards, is one shaper working with eco-friendly materials. Today, Raynor is working on an algae board – a surfboard with a foam core made partially of seaweed. “Actually these algae blanks that I’ve been shaping, we got a bunch of them. I don’t think they’re even on the market yet. These are probably like some of the easiest boards to shape, easiest blanks to shape. And I’m not sure if that’s because of the way that the algae is playing into the equation,” says Raynor, “Aside from these algae based blanks, the only other route that we’re going is looking at things that are reusable, recyclable." Last year, Raynor produced an estimated 600 surfboards. He has yet to receive an order for an ecoboard. Raynor has been shaping for almost 10 years. 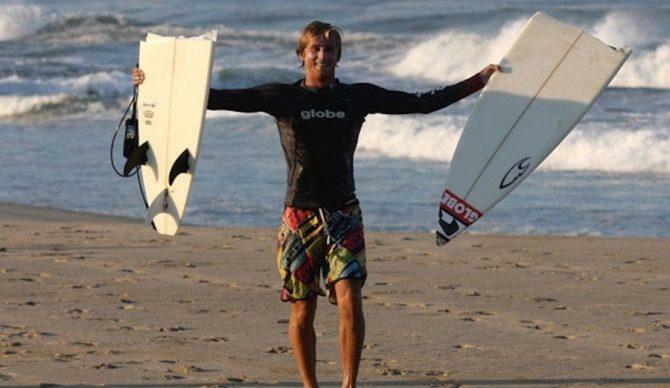 He says a shift to eco-friendly surfcraft has to be a consumer-driven effort. “I’m not gonna dictate anything. I’m only gonna make what people order, and I think that’s about what 90 percent of the surfboard industry is,” says Raynor. Raynor and more than a dozen other shapers produced 30 ecoboards for a surf-clip contest called the Pro Test happening on the North Shore this winter surf season. Here’s Pacarro. And if they’re better for the environment, it could be a protest with a lingering impact. About the ProTest Ecoboard Challenge: Professional surfers will submit videos of them riding an ecoboard on the North Shore this winter. Videos will be uploaded to Surfer Magazine's website, and the public will get a chance to vote for their favorite video. The top 10 finalists will be considered for the final $10,000 prize. The ProTest quiver will then be available for anyone wanting to test them out on the North Shore. Stay tuned. The ProTest from cliff kapono on Vimeo. The saying goes, “The Bay Calls The Day.” But it turns out Wednesday was not that day. 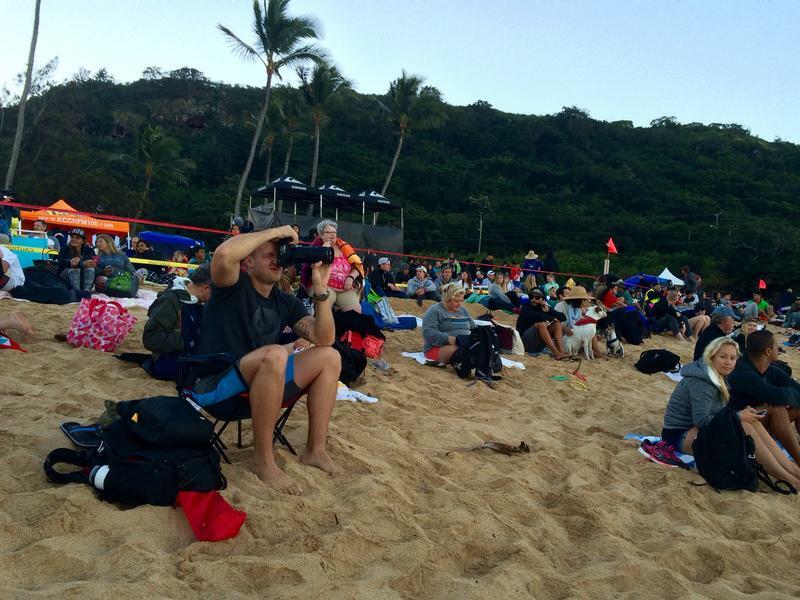 Shortly after 6 am, event organizers cancelled the Eddie Aikau big wave contest, after an expected swell failed to arrive at Waimea Bay. HPR’s Molly Solomon was there and has this report.